Rooms too Hot or Cold? Rooms to Hot or Cold? Fujitsu Heat Pump – Hot Prices for a Cold Winter! Is a Heat Pump SOS just the same as cleaning my filters? What is involved with the Heat Pump SOS? How often do I need to service the system? 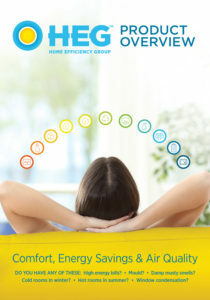 Thank you for visiting Home Efficiency Group. Let us know what you are interested in and we’ll show you how you can save up to 80% of your energy bill. Please enter your full street address. High electricity / gas / wood bills? Mould, dampness issues or dust mites? Cold rooms in winter or hot rooms in summer? At different times of the year, we get really busy and a lot of people try to contact us all at once. This is usually when the cold weather is upon us, or when there is a community event (such as a Community Bulk Buy). To bypass the queue, simply complete this form to get an idea about pricing. HEG consultants can then help refine the quote based on their experience and knowledge, combined with a closer look at your premises. Select all appropriate options, then answer the queries, below. All dollar values and advice provided on this form are approximate estimates only, are subject to an onsite inspection and formal quotation by HEG™. Questions will appear, below, if you select the appropriate Product option at the top of the form. The most cost-effective way to heat and cool a house. They come in various styles, including ducted, cassette (flush and cavity), floor or wall mounted. Heat pumps come with different output ratings, measured in kW for cooling and heating. The heating rating is different from the cooling. The output depends on the size of room or house that it needs to cool or heat. As a guide, every 10 square metres of floor area requires about 1kW of heating on the air conditioner. Rooms or houses with higher ceilings, and hence more air volume, require higher kW outputs, and other factors (whether there is an air transfer system, large windows, minimal insulation etc) also increases the kW requirement. Select a room or house size so we can suggest a heat pump with an appropriate kW output. * Try to keep internal and external units of the heat pump as close to one another for efficiency. * Place the Internal Unit of the heat pump on an outer, or external-facing, wall to avoid technical issues and additional fees. * Have the Outside Unit on the ground, if possible, or wall-mount on a solid wall, like brick or stone, only. Please select the distance along the wall, floor and/or ceiling that the cables that connect the Inside Unit to the Outside Unit must travel. Estimates only. Subject to onsite inspection and recommendation / experience of the HEG™ Consultant. Please complete the details, below, so that we can personalise your quotation. A HEG™ representive may contact you to answer any queries that you may have, or to clarify details. Alternatively, call HEG on 1300 96 80 60. ESTIMATE ONLY. COSTS INCLUDE GST. HEG™ supply and install Bradford Gold and Knauf Earthwool. Prices are for supply and install with good access to all areas. Bradford Gold R2.0 - Standard for walls and underfloor insulation, stops drafts and cold feet. Bradford Gold R2.5 - For upraised or exposed floors that get a lot of draught. Calculate @ $2.70 x sqm of your home. For tight spaces, low house elevation, of small roof cavity. Please make sure you complete all the selections prior to submitting the form.